It’s the start of the asphalt sealcoating season. The recommended time for sealcoating your asphalt pavement is late Spring through early Fall. That means now is your time to get your free asphalt seal coating estimate and schedule your project. Armored Sealcoating is your top choice for asphalt seal coating in Kenosha county and surrounding areas. We apply TWO coats every asphalt seal coating job we do to ensure longer lasting quality. Because we apply two coats, the maintenance period is longer, and we can recommend every 3-5 years vs. the typical 2-3 years. We save you time and money. We use high-grade rubberized crack-fill. This will help to prevent water from penetrating and saturating the stone base underneath your asphalt, prolonging the life of your pavement. If your asphalt cracks are too deep or have started spider webbing, you may need to consider some deeper repair tactics. Our knowledgeable and experienced crack filling team will fully inform you and advise on the best practices for your specific case. Armored Sealcoating practices a TWO coat application process on every project including residential asphalt seal coating. Most companies will only apply one brush coat when it comes to residential projects. We like to be sure your seal coating services its purpose and maintains quality for the longest time possible. We strive to be the most competitive in price and quality for your commercial seal coating needs. We work to reduce you long term costs by providing double application. Our materials are top of the line and provide the ultimate resistance against damaging elements. 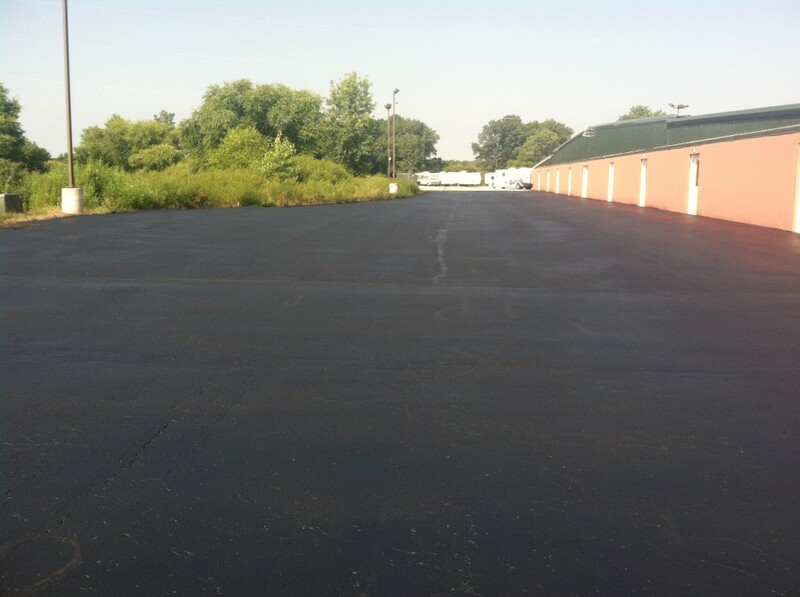 We keep your asphalt looking new and fresh with an attractive black satin finish. Our professionals will build an asphalt maintenance plan perfect for your driveway and parking lot. Crack filling and pavement striping are included in our seal coating services; but we’ll come back to fill cracks and refresh your parking lot striping as needed. Easily and affordably maintain your commercial asphalt by calling Armored Sealcoating! Contact Armored Sealcoating for your free asphalt seal coating estimate in Kenosha County and surrounding areas.